Why are complete compact-binary-coalescence waveforms so important for compact-object astrophysics? 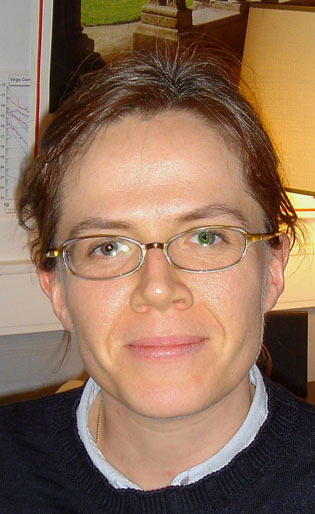 Marie-Anne Bizouard is a research fellow at CNRS, Laboratoire de l’Accélérateur Linéaire, Orsay, France. She is an experimental physicist working on gravitational wave searches with ground based interferometric detectors. The numerical relativity breakthrough in 2005 has provided waveforms of the gravitational wave signal emitted by a compact binary sources that describe the coalescence, the merger of the two compact objects and the ring-down of the newborn object. These waveforms are now more and more often used in gravitational wave searches carried out with interferometric detectors (LIGO, Virgo, GEO and eventually KAGRA), instead of analytical waveforms from Post Newtonian expansion that stop abruptly at the innermost stable circular orbit just before the final plunge. This paper describes different configurations (signals/template waveforms with and without abrupt termination) and demonstrates analytically that an abrupt ending of a waveform actually adds non-physical information that may be picked up by parameter estimation algorithms. This generates systematic biases that tend to dominate statistical uncertainties for systems with a black hole whose mass is larger than . The paper also explains why the Fisher information matrix formalism which is frequently used for rapid parameter estimation is not able to include the effect of the abrupt termination of the waveform. The conclusion underlines the need to use waveforms that include all signal phases. This entry was posted in Board members' recommendations, IOPselect and tagged data analysis, gravitational waves by Adam Day. Bookmark the permalink.